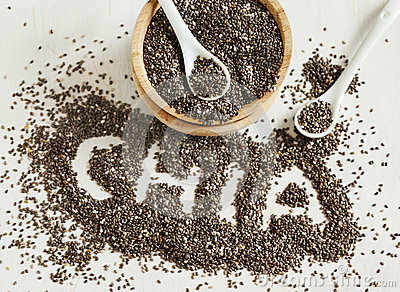 Chia word made from chia seeds on white background. Healthy Chia Seeds for Weightloss. Chia word made from chia seeds Salvia hispanica on white background. Chia seeds. Chia word made from chia seeds with spoon full of chia on white wooden background.